ECOOP has negotiated rate at the Marriott (TripAdvisor 99/664), the main conference venue. The approximate cost is 125€ for a single room and 138€ for a double (the exact price may vary depending on the exchange rate). To get the ECOOP rate follow this link and mention the code PP8PP8A. [Please note that reservations are guaranteed at 100% of the total by individual credit cards. Cancellation will incur a one night stay penalty if done until June 5th, after that date the full cost will be charged. Also, if you plan to arrive after midnight, inform the hotel in advance as rooms are released for “no shows”. Lastly, ECOOP does not have a minimal room commitment, so feel free to look for better deals online. There is a large number of alternative hotels in the area, a map view from TripAdvisor or Google allows filtering them based on price/features. 5* hotels with good reviews, in addition to the Marriott, include Hilton Prague Old Town (TripAdvisor 81/664), which is just opposite the Marriott, and Art Deco Imperial (TripAdvisor 36/664), which is a short walking distance away. Expect prices around 120-150€ per night. 4* hotels in the area with good reviews and prices below 100€ include Hotel Century Old Town Prague - MGallery Collection (TripAdvisor 82/664), Grand Majestic Plaza (TripAdvisor 98/664), Designhotel Elephant Prague (TripAdvisor 97/664), K+K Hotel Central (TripAdvisor 52/664), Design Hotel Josef Prague (TripAdvisor 21/664). These and more are all in short walking distance to the Marriott. Expect prices around 70-100€ per night. A cheap option is Hotel B&B Prague City (TripAdvisor 170/664) with a price around 50€ per night. The rooms are tiny but new and clean (the hotel has been recently renovated), with air conditioning, internet, includes breakfast. The hotel is in walking distance from the Marriott. We have visited the hotel, seen a room and reserved a small number of rooms at 39€ (or shared by two at 25€ per person), to apply send a request to the ECOOP housing chair. The housing chair can also connect people wishing to share a room. The rooms are booked by email (you’ll get the instructions from the housing chair), and will be paid directly by participants to the hotel. The hotel is available for all participants (not only students). The rooms are allocated on first-come first-served basis - apply ASAP. This option has already expired, we can not accommodate more people there: Another cheap option is Novomestsky hotel (TripAdvisor 308/663) run by the Czech Technical University. The hotel is 18 minutes walk from the Marriott or 8 minutes by walk+subway or 11 minutes by walk+tram. There are single (~42€), double (~50€), and triple rooms (~60€) all including bathroom, internet, and breakfast. There is no air conditioning (the rooms may get hot in summer, depending on the weather). The building is old and the rooms are somewhat worn out but clean. There is a very limited number of rooms available by May 29. The rooms can be booked through the ECOOP housing chair and the housing chair may also connect people wishing to share a room. The booking will be non-cancellable, due the arrival date, to be paid directly to the hotel (can be paid on-site). The hotel is available for all participants (not only students). The cheapest option for students is Svehlova Student Dorm (in Czech Kolej Svehlova) of the Charles University. It is about 14 minutes by walk + 6 minutes by tram from the Marriott. The rooms are all single rooms, very large, with internet (you need to bring your ethernet cable), no air conditioning. Shared bathrooms+toilets are in the hallway (shared also by local students staying at the dorms). The building is built in the Art Deco style and is quite charming from the outside. From the inside, the building and the rooms are worn out and in need of renovation. Do not expect the staff to speak English, but you can ask local students who live at the dorms for help/translation. 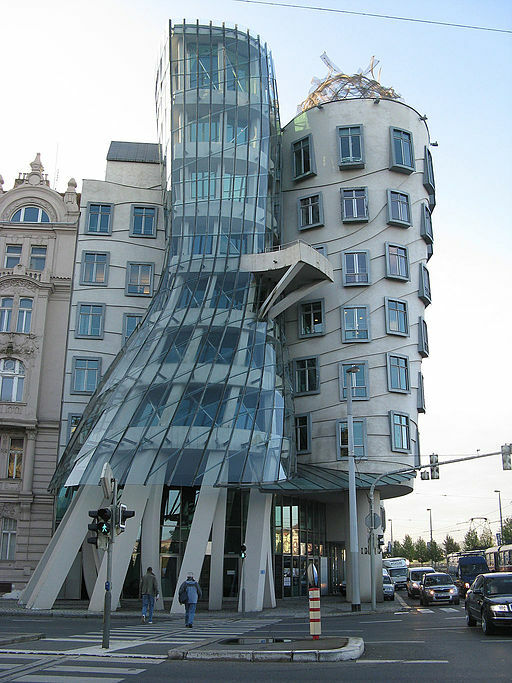 To get some taste for the Czech language, see a text on architectural history of the building. There is no breakfast at the dorms. Student volunteers and students eligible for NSF Conference Award may apply for this accommodation through the ECOOP housing chair. Based on TripAdvisor, additional hotels/hostels in still reasonable walking distance, with reasonable ranking and with price around 50-70€ per night include: Hotel Salvator (TripAdvisor 132/664), hotel Jurys Inn Prague (TripAdvisor 90/664), Salvator Superior Apartments (TripAdvisor 32/430), Alice Apartment House (TripAdvisor 82/430). If you are looking for cheap accommodation, we suggest first contacting the ECOOP housing chair.